On Oct 9, the Ariya group made a nice surprise to their supervisor. 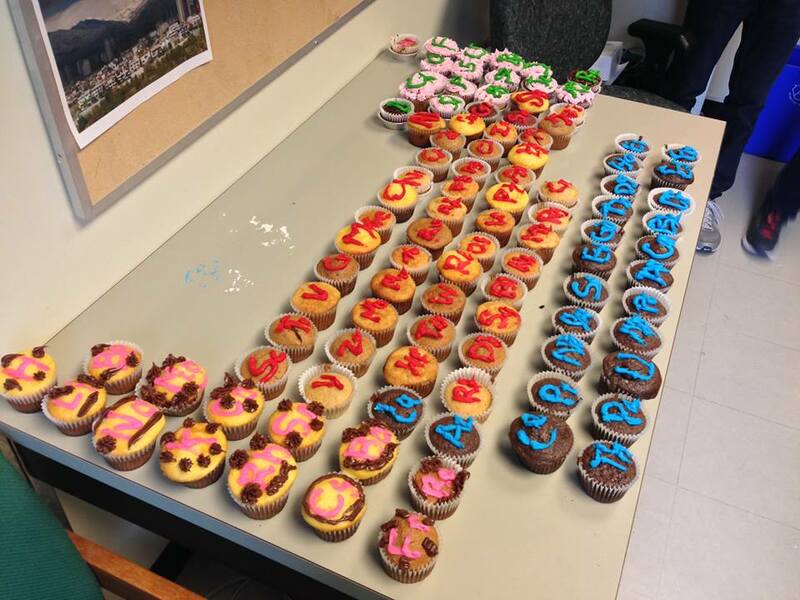 The entire lab baked, decorated, transported and setup over 100 cupcakes to create a periodic table. The colours of the icing were characteristic of whether the element was part of the s block, d block, p blocks or f blocks and the non-metals were also frosted and of the five flavours of cupcakes: butter pecan, double fudge chocolate, red velvet, carrot cake and vanilla were characteristic of the various blocks of the periodic table. Due to lack of time, a few elements were missing, but who wants inert cupcakes anyways! A keen chemist will be able to spot the omissions but the general shape of the table was maintained. 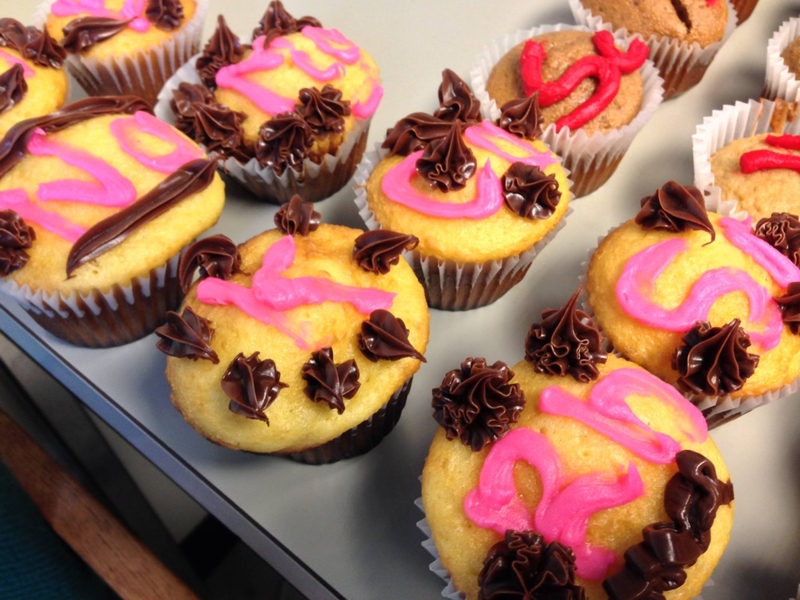 After the group surprised Dr. Ariya, they took the cupcakes to the Atmospheric and Oceanic Sciences lounge and offered it to the rest of the department to snack on.